So the festive season is coming and you know what that means, an abundance of Christmas parties, an overindulgence of alcohol and perhaps an increase in foods that you generally would not consume. It is cold, wet and miserable outside. All you feel drawn to do is eat carbs and hide in front of the television. But you have a long list of Christmas parties and family gatherings coming up. With this comes a chance to wear that little black dress that you want to look your best in.Colon hydrotherapy could be the answer that you are looking for. According to a recent study on average people lost between 2.6 – 6.6 pounds after one colonic hydrotherapy treatment. When we eat low fibre foods everything moves at a much slower pace through the digestive tract, attaching to the intestinal walls and weighing the colon down. Cleansing colonic hydrotherapy removes this impacted waste and relieves trapped gas leading to instant weight loss and a flatter stomach for that stunning party dress…. Not only does the treatment itself enhance weight loss and a flatter stomach but your colonic hydrotherapists Claire and Ruth will give you personal support and guidance on how to maintain this weight loss to ensure you look your best throughout the festive season. December is a month associated with alcohol over-consumption and heavy food. This can play havoc with our digestive system leading to bloating, heaviness and a slow moving bowel. Not to mention what it does to your gut bacteria…. There are over 100 trillion bacteria slaving away every second of every day digesting your food. The thing is not all of them are good guys and if you do not regulate the bad guys then they can lead to an imbalance in your intestinal flora. If you have a bad bacteria majority then when your food is broken down there will be an increase in gas and harmful by products leading to….BLOATING! 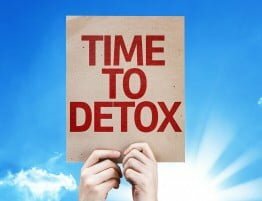 Colonic hydrotherapy cleanses and removes bad bacteria and waste products from the colon, enabling your system to deal more effectively with an increase in toxicity from rich food and alcohol. Goodbye bloated stomach. The endless stream of Christmas get togethers can be tiring so it is important that your energy levels are maximised during December. Toxins, energy zapping food and tiredness are all key factors in your overall energy levels. A Colonic hydrotherapy treatment is the perfect solution to assist the reduction of toxicity and rebalance your blood sugar levels. With the added bonus of you getting an hour to lie back, relax and destress whilst your therapist Claire or Ruth do their magic in supporting your system. And now for the best part, Ruth and Claire are offering you £10 off of any Initial colonic treatment booked during the month of December or £5 discount for existing returning clients who would like to book a follow up colonic in December at our Balham location or at The Hale Clinic. T&C’s apply…this offer cannot be used alongside existing offers e.g discounted courses of colonics. Ruth and Claire are available for colonic hydrotherapy treatments on Saturday and Sunday at Feel Good Balham. Ruth is also offering the same discount on Colonic treatments booked at The Hale Clinic during December. Call 020 7060 4146 or email today quoting ‘December OFFER’ for £10 off your Initial Colonic treatment or £5 off a single follow up colonic.